If you shop online from international stores, you might encounter certain websites that do not ship to your country. I'm always very saddened by this as they have such amazing offers, free gifts, and BOGO deals that do NOT apply to international buyers!! Now, I am going to teach you how to buy from USA, UK, Japan, Korea, China or Hong Kong and ship to Malaysia. It will be perfect to buy clothes, makeup and stuff for your family for this Chinese New Year! You can use companies like BuyandShip which basically offer parcel forwarding services. What is Parcel Forwarding Service? Parcel forwarding is an international shipping service offered by companies to shoppers who want to purchase from online stores that do not deliver to their countries. Sign up as a Buyandship member to obtain your overseas warehouse address (this address has a unique code for you so they can identify who the parcel is for). 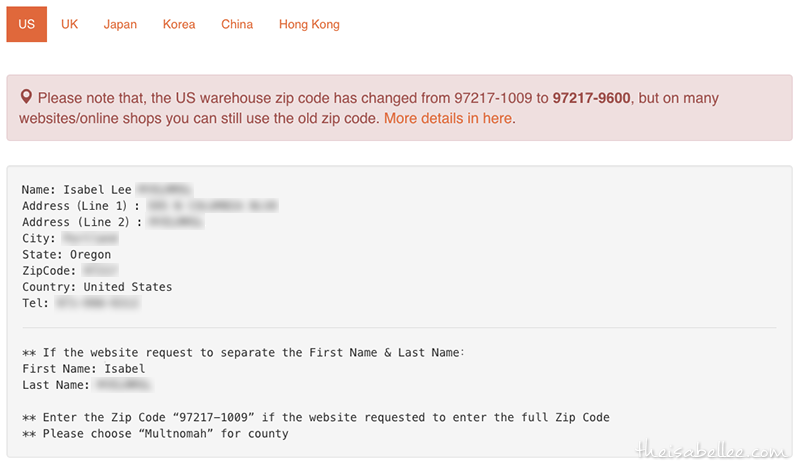 Below is an example for my US warehouse address. Make your purchase and deliver it to your overseas warehouse address. Once the seller has sent out the parcel, declare your package at BuyandShip to inform them that you have a parcel arriving. You must key in the tracking number before it arrives at the overseas warehouse. 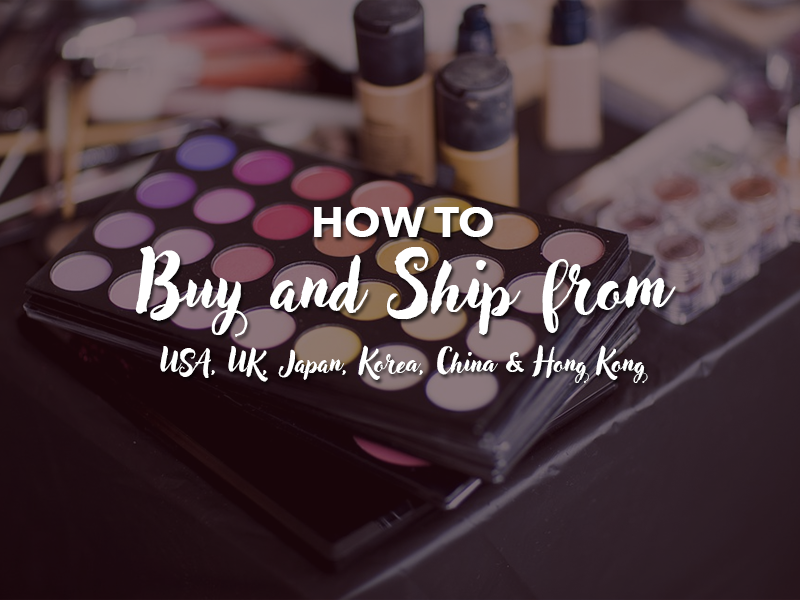 Parcels from USA, UK, Japan, Korea, China and Hong Kong will be delivered to the Hong Kong warehouse where you can consolidate your purchases from all these different countries. A shipping fee from Hong Kong warehouse to your home in Malaysia will be calculated based on weight. Once you pay this international shipping fee, they will ship it straight to your house! You can read the full tutorial on the website. What are the advantages of using BuyandShip international forwarding service? Consolidating service - Combine all your purchases from USA, UK, Japan, Korea, China & Hong Kong at Hong Kong warehouse so you only need to pay international shipping once instead of 6 times. Shipping fee based on actual weight instead of volumetric weight which is awesome if you're buying bulky items! Free repacking - when separate packages arrive at the Hong Kong warehouse, they will consolidate and pack them together for free. How much is it to use BuyandShip service? It is a flat rate of RM15 / pound (based on actual parcel weight). This covers the shipping from overseas warehouse to Hong Kong to Malaysia, to your house. There is no additional agent fee. You can estimate your delivery fee before purchasing. Get your FREE BuyandShip account by signing up now! Let's start shopping!